Download the guide and operate your Second Suite successfully. 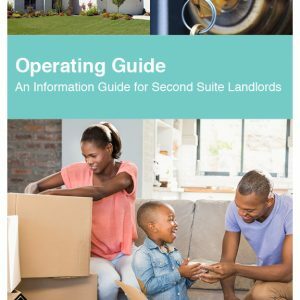 The Operating Guide is aimed at helping homeowners understand what it means to operate a Second Suite in Ontario. It provides landlords with a road map for their rental business, and includes detailed information about the Residential Tenancies Act, 2006 and how it governs the landlord and tenant relationship. Information related to finding a tenant, tenancy agreements, rights and responsibilities of landlords, ending a tenancy and the Landlord and Tenant Board is also included.